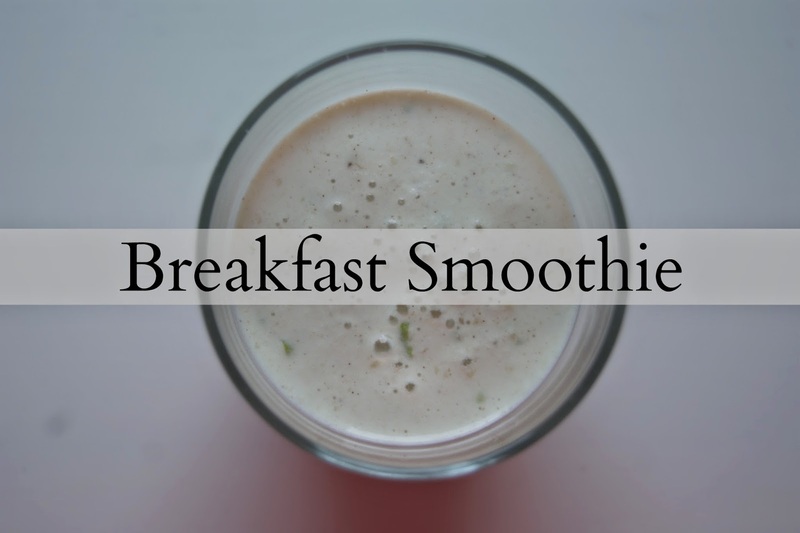 Today I'm going to share a really easy and healthy breakfast idea with you. Since it is really hot in Germany right now, I prefer drinking a smoothie to actually eating breakfast because I think that smoothies are refreshing and they make you quite full as well. I saw this recipe the other day and I just needed to try it because it sounds so delicious! Since I only have an immersion blender I chopped everything up so it's easier to blend. 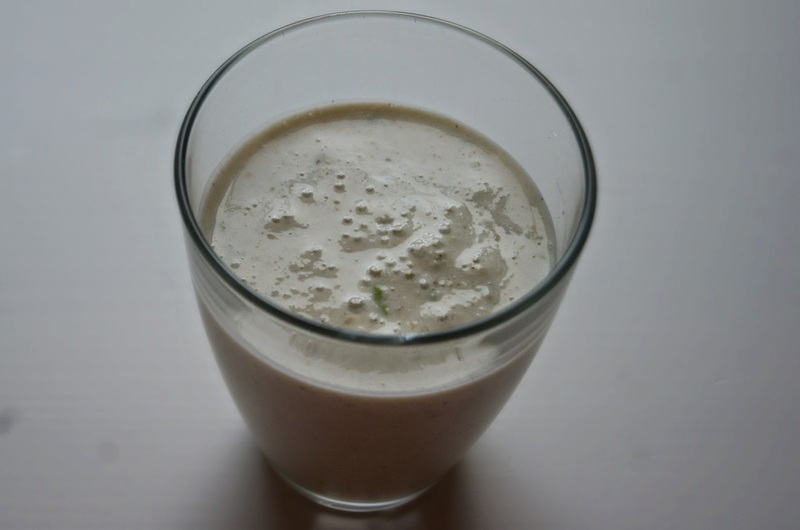 I absolutely love this smoothie and I think it just tastes so delicious! Have you ever tried this smoothie? About how much does this recipe make? Is it only one serving, or would it be able to serve two or three?